Simultaneously warm and engaging and heartbreakingly, desperately sad. I was moved by the way that Katie falling into prostitution was treated as very sad, but not at all as a reason to write her off as a human being or treat her as ruined in some way. 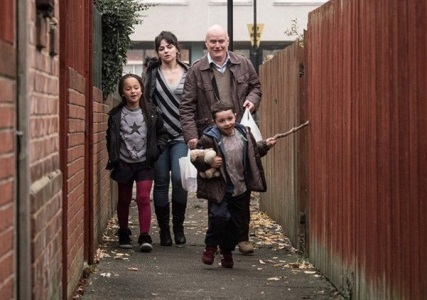 Just here to say I adore Ken Loach and I'm so psyched to see this as it's directly connected with the work I do: trying to support people navigating the remains of the welfare system, albeit in a very different context of California. Just even the trailers fill me with so much rage I am 99% sure I cannot bear to see this. This is not a film about bureaucratic forces of the system so much as it is a film about the consequences of the unapologetic Tory war on the poor, disabled and vulnerable. People are literally killing themselves because they've been left with nothing.